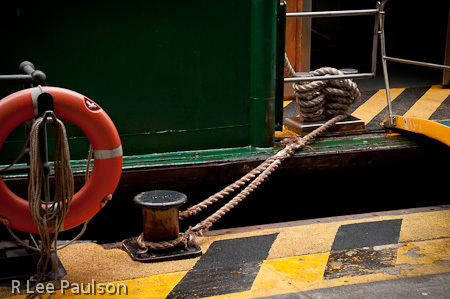 We made our way to the zoo ferry and, while standing in line, I noticed the frayed rope holding it against the pier. I figured the rope would hold at least long enough for us to board, which it did. We sailed right past the Opera House on our way to the zoo. 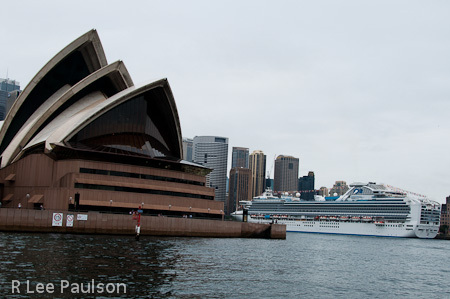 Here you can see how close the Opera House was to where our ship docked. The skies were still cloudy but the rain had stopped when we made our way up a hill to the zoo. The ferry dock is the white building in the lower left corner. 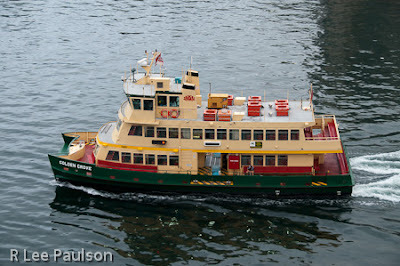 I grabbed this shot of the ferry as it departed the zoo dock. 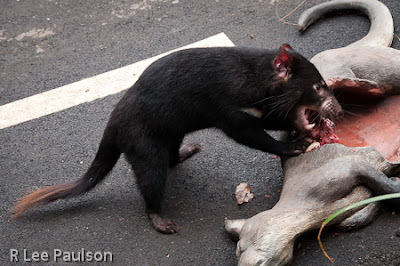 This little guy is the Tasmanian Devil made famous by Warner Brothers cartoons. 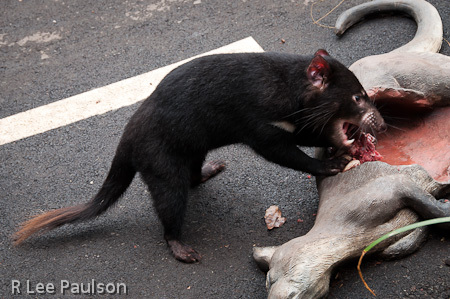 He's about the size of a cat, except his jaws are so strong they can crush just about anything except a cow's skull. They fight with each other as part of their naturally ornery disposition. And they are now endangered because of a virus that causes tumors to grow in their mouths. The disease is always fatal and there is no cure. I grabbed a shot of this Cookaborough Bird sitting in a tree watching us look at another Cookaborough Bird inside a cage. That seemed odd to me. 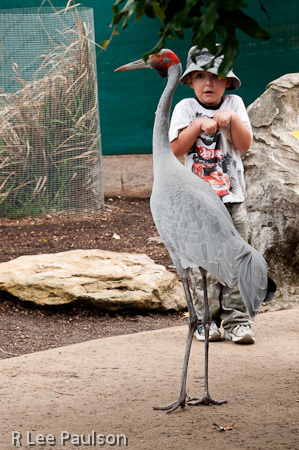 The little kid had run up behind the bird and touched it. But, when the bird stopped, turned around and eyed him, it occurred to the little guy that he may have made a mistake. 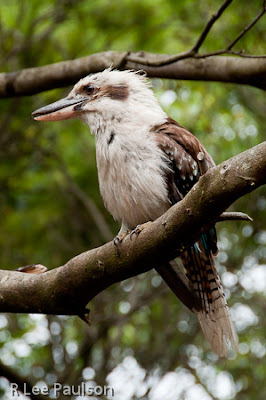 I have no idea what kind of bird this is, but it was running free inside the area where we were at the time. 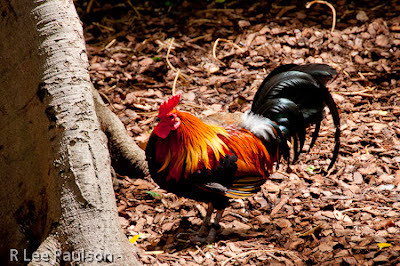 They had a rooster in this zoo, which I thought interesting. He had pretty colors, though. And of course we had to pay extra to be allowed close to the Koala Bear. We weren't allowed to touch them, but we could get close to them while they slept. 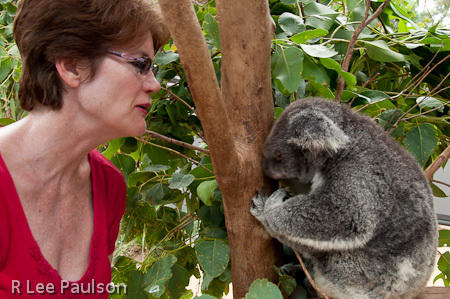 They only eat Eucalyptus leaves, which don't have a lot of nourishment. In order to conserve energy, they sleep up to 20 hours a day. 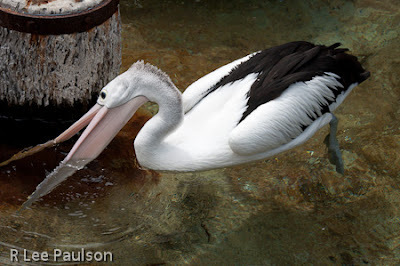 This Pelican was looking for fish in all the wrong places, but it gave him something to do. On our last day in Sydney, the sun finally came out. I told Melony that I wanted to ride the zoo ferry again because I wanted some shots of the Opera House from the bay. 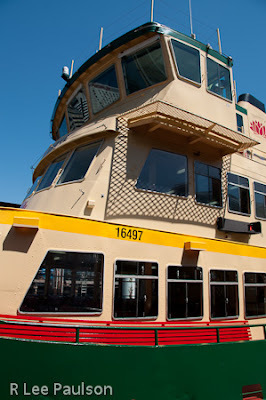 That explains why you see the blue sky against the ferry wheelhouse here. 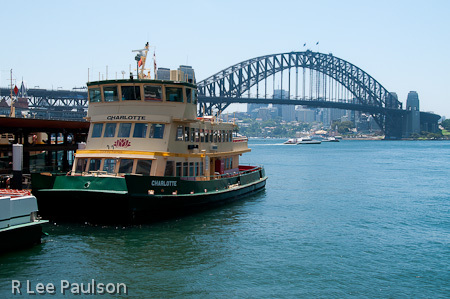 Here we see the Sydney Harbor Bridge behind the ferry we were just on. Next time, we walk over and take a close look at the Opera House. 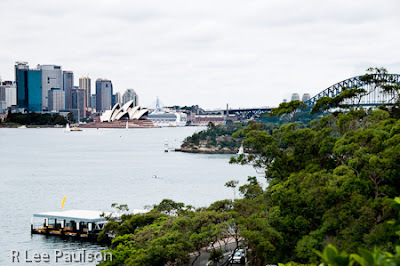 Continue on to Post 13: Sydney Opera House by clicking here.